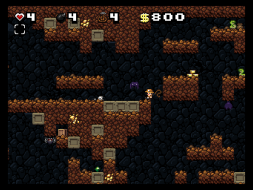 Explore mysterious caverns to collect treasures while avoiding traps and monsters. 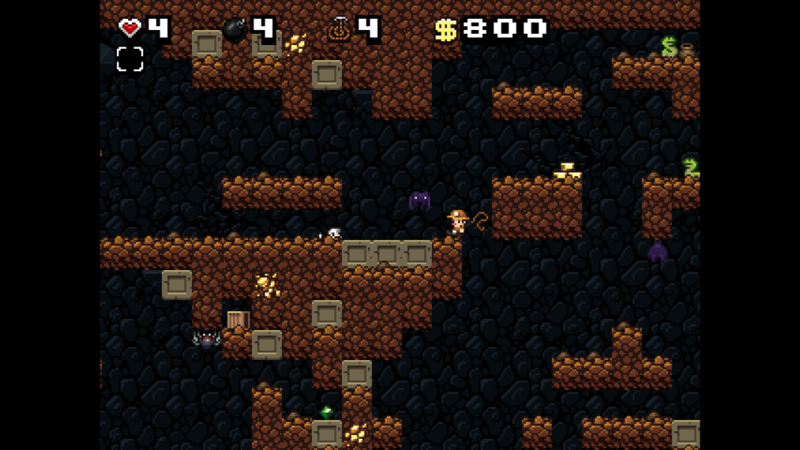 Spelunky is a freeware game first released in 2009; it was renamed to Spelunky Classic following the release of an enhanced commercial version in 2013. 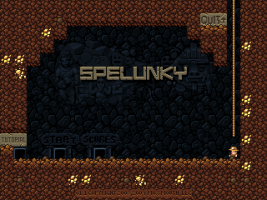 Spelunky Classic runs at the desktop resolution in a borderless window with the gameplay area upscaled from an internal resolution of 320x240; Spelunky Config determines the scaling multiplier. Gameplay will be cut off if the multiplied output is greater than the desktop resolution. 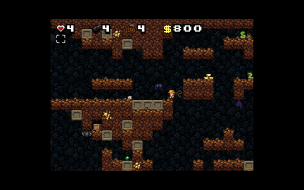 Everything has the correct aspect ratio. The largest upscaled output available is 1280x960, so resolutions higher than that will have a windowboxed output. The only option for a greater zoom at such resolutions is to set the desktop to a lower resolution while playing.